After I wrote this piece, a reader sent in several hundred dollars for Elsa Chon, who is quoted in the story. She was stunned and grateful when I gave her the money. I took a picture of her with the money to show to the reader. The story was published Aug. 11, 2002, in the Dallas Morning News. Elsa Chon is 60, with gray-flecked hair and a kind face, and these are her golden years. But she measures life by the month. Each month brings her a $3.81 retirement pension, plus the usual government rations – 6 pounds of rice, a pound of beans, 8 ounces of cooking oil, some sugar, coffee and cigarettes. 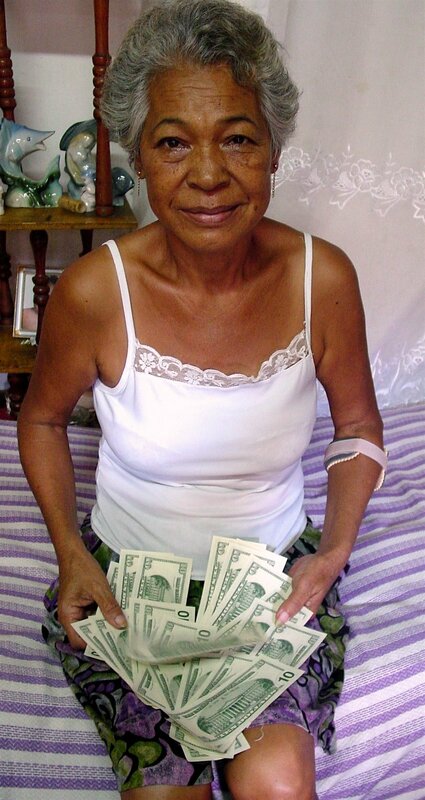 Mrs. Chon is among the island’s many blacks who are struggling to make it in a changing economy where U.S. dollars, not Cuban pesos, are the currency of choice. In trying to wrest the island from economic crisis, Cuba legalized possession of dollars in 1993, but experts say that in doing so, the government unwittingly put blacks and other mixed-race Cubans at a disadvantage. That’s because blacks have a much harder time getting their hands on dollars. Legalization of the dollar meant that Cuban exiles could begin to openly send their relatives money. But that helped whites more than blacks since most Cuban-Americans, 84 percent, are white. Today, exiles send their relatives an estimated $700 million to $800 million – a windfall in cash-strapped Cuba, which received just $68 million in foreign economic aid in 1997, U.S. officials say. Whites use the cash remittances not only for food and other necessities, but to get ahead. They fix up their homes and rent them to tourists. They repair old jalopies and turn them into unofficial taxis. They convert living rooms to restaurants. Many blacks who don’t have relatives abroad look for jobs where they can make dollars – such as the tourism industry, the country’s biggest dollar-earner. But even then, because of discrimination and other factors, they say, jobs are hard to get. As a result, black Cubans have fallen behind whites economically since 1993, undermining Fidel Castro’s dream of creating a raceless society, said Alejandro de la Fuente, a University of Pittsburgh history professor who has studied race in Cuba. Dollars are vital in Cuba because many essentials – socks, underwear, shirts, shoes, dishes – simply aren’t available for pesos. Other items – including diapers, toilet paper, toothpaste, soap – are distributed to the populace, but Cubans say the supplies don’t last. Not only that, what can be had for dollars is usually of much higher quality. The government grudgingly embraced the dollar after its chief sponsor, the former Soviet Union, collapsed in 1989, ending aid of nearly $6 billion a year. And it made tourism its main cash source, building scores of hotels and restaurants to lure sun-loving travelers. Jobs in tourism became among the most coveted. But both blacks and whites complain that applicants with government or family connections are sometimes pushed ahead of better or equally qualified candidates. Money can also make a difference. The job that seemed unattainable can often be had for a bribe, some Cubans say. Payments of $100 to $500 go to employment agency workers and tourism school instructors. He and others also say employment agencies favor whites and light-skinned blacks, an accusation officials deny. An estimated 11 percent of Cubans are black, 51 percent are of mixed race, 37 percent are white and 1 percent are Chinese, the CIA reports. Whites were favored when the government first began developing tourism in the early ’90s, said Marta Rojas, a respected Afro-Cuban author. The government allowed foreign partners from such countries as Spain to have control over whom they hired, and many chose whites, she said. Authorities moved to correct the inequities, setting up racially diverse labor pools and requiring hotels and restaurants to pick workers from those pools, Ms. Rojas said. Cubans are at odds over whether the strategy worked. Critics say the hiring system still isn’t perfect and racism isn’t gone. Even so, black Cubans are much better off than they were before the revolution, poet Nancy Morejon said. As a black child growing up in pre-revolutionary Cuba, she said, she imagined toiling away in some low-paying job for the rest of her years. Instead, rebels swept the country in 1959, and blacks began moving up the ladder. Ms. Morejon, 57, got a university education, started writing poetry and this year won Cuba’s national prize for literature. Castro loyalists say the socialist government has always supported blacks and that hasn’t changed. Mr. Molina pulled out a 1949 black-and-white photo of Mr. Castro posing with a university committee to fight racism. 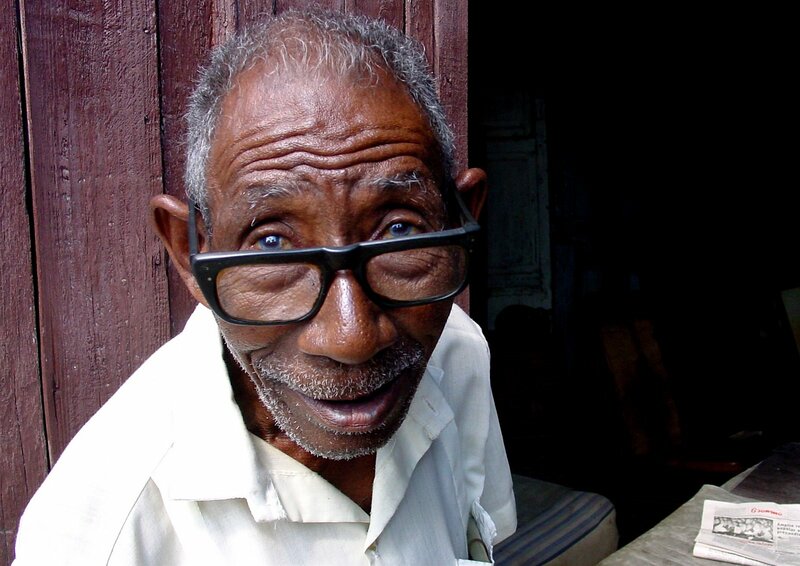 “Fidel has defended Afro-Cubans for his entire life,” the 68-year-old editor said. The Castro government passed laws outlawing discrimination just months after the rebels took power. “Virtue, personal merit, heroism and generosity should be the measure of men, not skin color,” Mr. Castro said then. 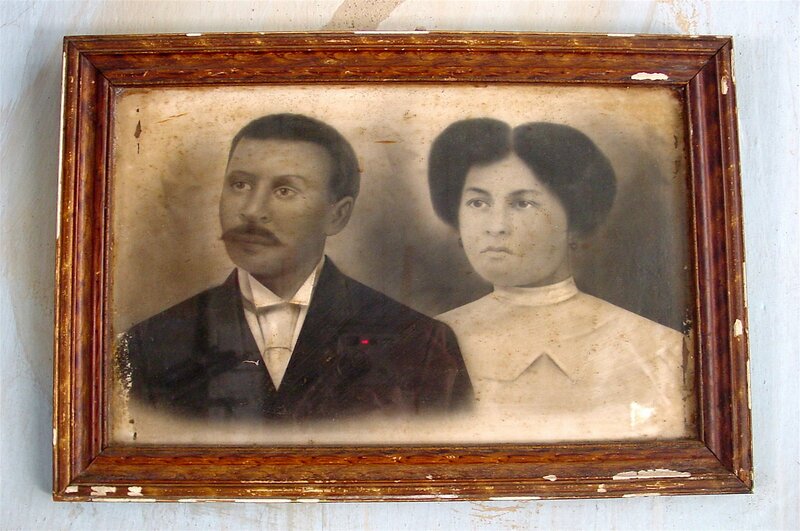 In the decades that followed, Cuban blacks progressed more than they had in the previous four centuries, some say. “Blacks had to wait 400 years to achieve some dignity,” said Alberto Jones, a Cuban-American activist who has studied the race issue. Some of the most striking achievements came in education. And by 1981, blacks were on a par with whites in obtaining high school diplomas. Advances in education led to better careers for blacks and mulattos, said Mr. de la Fuente, author of the book, A Nation for All: Race, Inequality, and Politics in Twentieth-Century Cuba. Many blacks decided to go into medicine, and by the 1990s, the nation of just 11 million people had more black doctors than the United States. Blacks clearly benefited the most from the revolution, experts say. And that has led some to call them Mr. Castro’s “secret weapon,” his source of unconditional political support. But now that dollars are the currency of favor, some blacks question that assumption and say they are rethinking their allegiance. As he sees it, the government demands blacks’ political support while persecuting them at the same time. Police, for instance, continually associate blacks with crime and what the authorities call “dangerousness,” a vague yet punishable offense, Mr. Colas said. And they often single out blacks on the streets, stopping them for no apparent reason and checking their identification papers. It’s a vicious cycle, Mr. de la Fuente said. Many blacks are shut out from tourism, the economy’s most dynamic sector, “on the grounds that they are unfit and inferior.” So they adopt other survival strategies, such as selling bootleg cigars, knock-off CDs or marijuana. Critics then say these strategies are proof of blacks’ “inferiority, laziness, lack of morality and propensity to commit criminal acts,” the professor says. Castro supporters say racism is not a problem in Cuba. Even so, they say officials have taken steps to aid the poorest and most disadvantaged blacks. One way they’re doing that is by opening schools for social workers in many cities. Most of the students are blacks who didn’t have the grades to get into college and don’t receive dollars from abroad or from state-run enterprises. But if they work for two years at the schools – studying and doing community work – they’re given a direct pass to study law, medicine, hotel management and other professions at college. As some see it, young unemployed blacks are the most likely to protest against the government if economic conditions grow worse. Most of the asylum seekers who hijacked a bus and crashed it into the gates of the Mexican embassy in February appeared to be young blacks, witnesses said later. Cuban authorities arrested the men, calling them delinquents and saying that almost all had previous criminal records. The problem, some say, is that despite Mr. Castro’s quest for a raceless society, blacks have never caught up to whites. Many live in the same dilapidated tenement houses that have stood for more than 200 years. Inside one house, Mrs. Chon, the retiree, said she gets by as best she can, selling cigarettes and homemade tomato sauce to neighbors. She also collects her late husband’s $3.81 pension – much lower than the average $10-a-month wage. Still, she hangs on to it.